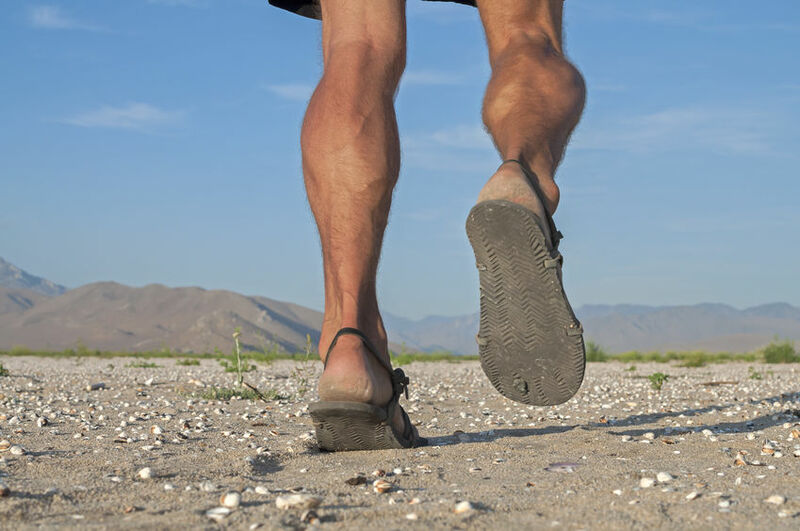 Achilles Tendon Rupture Treatment - Jeffrey H. Berg, M.D. As discussed in an earlier post, the Achilles tendon is the largest tendon in the body. Even so, because of it’s poor blood supply and the potential forces generated within the tendon during activities, it is susceptible to tearing. Achilles tendon ruptures most often occur while running and jumping. They can also arise from other activities, such as landing from a fall from a height. Most often these injuries occur in males between the ages of 30-50. When you tear your Achilles tendon, it can be disabling. That’s why treatment is essential. Achilles tendon rupture treatment comes in two types: Nonoperative and operative. Many tendons have a relatively good potential to heal without surgery. The Achilles tendon is one of those. If the ruptured ends of the torn tendon are approximated to one another very quickly after the injury and then the ankle is immobilized, often with the foot positioned with the toes pointing down for approximately one to two months, the tendon will usually heal. In fact, the healing rate is similar to the surgical approach. Some recent studies are even suggesting that early motion, rather than immobilization, may, in fact, lead to even better healing. As a result, nonoperative treatment is being used more often than previously. The problem with a nonoperative approach, however, is that typically there is a delay in initiating treatment. By delaying approximation of the two ends, blood clot and ultimately scar can develop between the ends of the torn tendon. Additionally, maintaining the ankle fixed in a toe down position for the necessary time, as has been traditionally required for nonoperative treatment, is often difficult and hard to sustain. Both of these problems theoretically lead to a thinner healed tendon and therefore higher re-rupture rates. Furthermore, if the tendon tear does not heal, the tear gap can widen. This makes later surgery more difficult and less predictable. Operative Achilles’ tendon rupture treatment may provide lower re-rupture rates but comes with risks not seen when surgery is avoided. The surgery is usually performed as an outpatient procedure. It requires either an approximately 6 cm incision centered over the injury site or multiple smaller incisions, depending on the technique used. The postop recovery is similar to that for the nonoperative Achilles’ tendon rupture treatment. Although, since the ends of the tendon are securely tied to one another with strong stitches, the ankle can be freed from immobilization and more reliably moved earlier. The best treatment may vary for different patients. It involves a balance between the expected benefits and risks. Most sports medicine doctors will recommend surgical Achilles’ tendon rupture treatment for younger, active people. For more sedentary, older patients or those with other illnesses that make surgery risky, nonoperative treatment may be offered.